Posted On November 12, 2018 by Team iCynosure. Wellness is a boon, however, it does take immense effort to keep all aspects of wellness in perfectly proper shape. Wellness is a complete integration of physical health, mental stability, spiritual conscious, intellectual strength, social compatibility, environmental awareness and occupational affinity. Each of these aspects work towards creating a wholesome individual who aces at his own quality of life. However, we must understand that a few of these life-aspects are beyond an individual’s control and hence he must be on top of the aspects that are directly affected by his own actions. Our regular tendency is to reach out for medicines whenever we have a small ailment. I think this has to stop as I have seen in my personal capacity that medicines could have side effects. 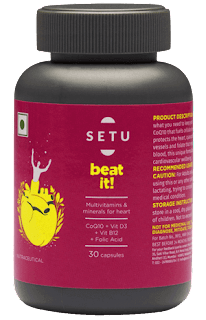 I would rather go for health supplements like the ones Setu makes. Physical health, mental stability, spiritual conscious and intellectual strength all come from a dedicated lifestyle regime and those who go for quick fixes only end up with prescription slips. I think #MedsCanWait, as I follow a stringent yet simple routine to boost my overall health and still be true to myself. However, I say this with personal experience that extensive life-changing activities are especially difficult to implement and even harder to sustain, but small changes that you resonate with, can be adopted and maintained to make a difference in a long run. Talking about my personal experiences, one of the most simple yet most negated daily activity of mine is that I forget to drink plenty of water which has an immense number of benefits. Then I wonder why I don’t lose weight! Water promotes weight loss, boosts immunity, increases brain power and flushes out toxins. However, when the necessary quota of water isn’t maintained in the body, it causes dehydration causing toxin build-up which hinders organ function especially liver function. 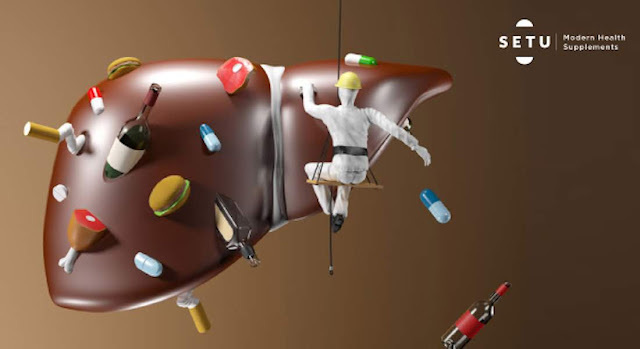 An overworked and unhealthy liver does a sub-optimal job that could be life-threatening. 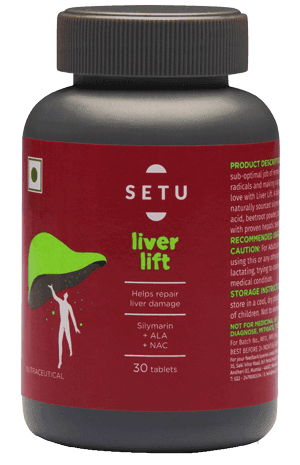 Personally I have found that a daily dose of Setu Liver Lift supplement is a healthier way to repair my liver rather than go for medicines. I have also been neglecting my exercises! I need to understand the incredible benefits of being active; which can be achieved with simple activities like brisk walking or skipping or simply taking the stairs. I’m guilty myself of not keeping up with these routines, as I have too many things playing on my mind like my two children and their well being! But slowly I have come to realise that very little activity makes me the perfect candidate for obesity and puts me at risk for a number of health issues including diabetes, high blood pressure and heart diseases. As I don’t have much time to hit the gymnasium with a vengeance to keep that heart pulsing essential lifeblood through my veins, I go for the next best alternative which is Setu Beat It which are multi-vitamin and mineral supplements. These have really made a big difference in me keeping out medicines and still being healthy in this hectic life! Do you think you can make the small changes in your lifestyle like I made, to better your overall health? 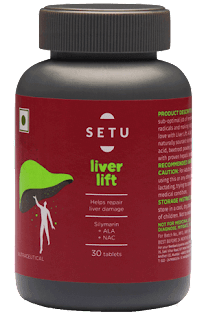 If you are committed to improve yourself, then Setu Health Supplements can help you in this endeavours!